Even though retired neurosurgeon Ben Carson is creeping up on Republican frontrunner Donald Trump, he said he won't be attacking Trump anytime soon — at least not directly. During an interview with Bloomberg Politics on Friday, Carson said he wouldn't host Saturday Night Live like Trump will do Nov. 7, according to Politico. And even though Carson said he wouldn't attack Trump, his reason for not hosting SNL seemed like a direct slam to Trump. “I think the presidency of the United States is a very serious thing,” Carson said when Bloomberg asked him if he would host SNL if given the chance, according to Politico. 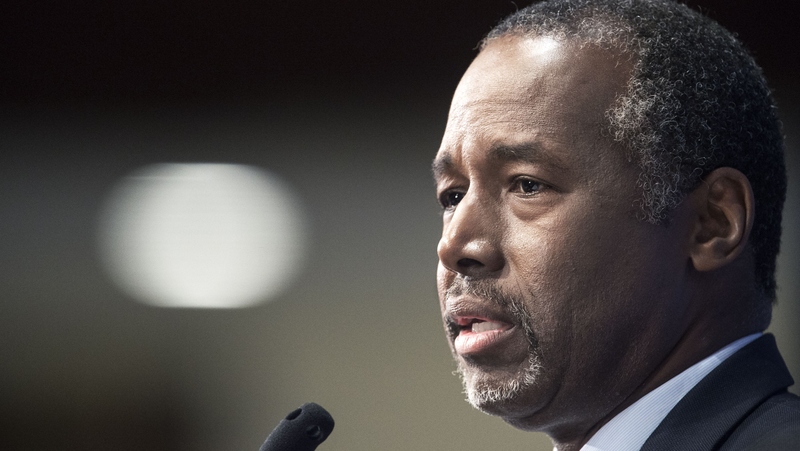 “I don’t even want to begin to put it in the lightness of comedy,” Carson said. Carson is now leading in Iowa, an early-voting state, and Trump has been attacking him because of it, calling him weak on immigration and trade, according to CNN. When Bloomberg asked Carson if he expected attacks from Trump, he said "Well I guess it really depends on whether he's a gentleman or not," according to The Hill. Carson said that Trump had always been a gentleman to him in their personal interactions, but added, "I think there's another element sometimes when he's on camera," according to the Hill. And it seems that Carson is probably right. When Trump heard that Carson was surpassing him in Iowa, he didn't just start attacking Carson — he went after Iowans as well. On Thursday, Trump retweeted a tweet that read "#BenCarson is now leading in the #polls in #Iowa. Too much #Monsanto in the #corn creates issues in the brain? #Trump #GOP," according to CNN. Monsanto is an agricultural corporation that makes herbicides and other agrochemicals. Trump has since deleted the retweet, but not soon enough. Chief politics reporter for the Des Moines Register tweeted "Is Trump going after Iowans now?" with a link to the tweet, which got a few hilarious responses. I just really don't buy into the whole attack-your-fellow-Republican thing. I'm just not going to do that. It's unclear whether Carson will stick to that mantra during the third Republican debate Wednesday, when Trump is sure to unleash more of his aggressive on-camera personality, especially if Carson is still leading in Iowa.